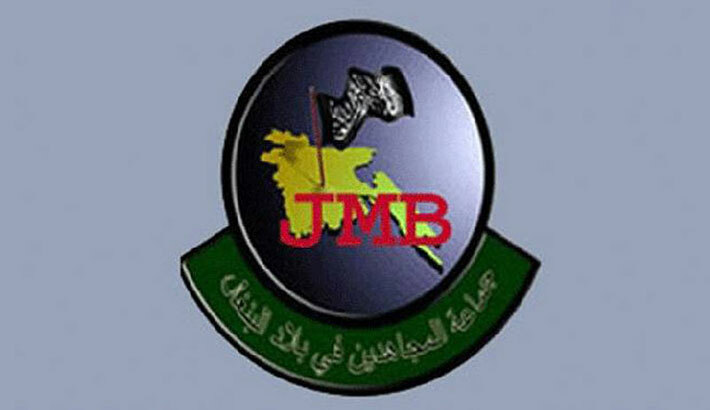 Counter Terrorism and Transnational Crime (CTTC) unit of DMP arrested three operatives of Neo-Jama’atul Mujahideen Bangladesh (JMB) militant outfit from the capital’s Mohakhali area on Wednesday. The arrestees were identified as Abdus Samad alias Arif Mamu alias Ashiq, his father-in-law Ziadul Islam and Md Azizul Islam aka Mehedi Hasan aka Shishir. “The team seized 200 detonators, a 9mm pistol and five bullets from their possession,” he also said. Sources said that Samad, hailing from Dinajpur, sat for Hadis exams in 2002 and Fazil exams in 2011. Ziadul and Shishir hail from Chapai Nawabganj. Ziadul studied up to class four while Shishir studied up to class nine in madrassa. “During initial interrogation, we came to know that Samad had joined JMB in 2010 and then formed a group, ‘Zunad Al Tawheed al Khilafai’ with Tamim Chowdhury in 2014,” the CTTC chief said. “Tamim was the chief of the organisation, while Samad was his second-on-command,” he further said. “Samad is skilled in militant acts, including recruitment of new operatives, fund raising and making explosives,” Monirul said, adding that he used to take high-level organisational decisions. He also trained new members to operate weapons and grenades. He became the leader of Neo-JMB after arrest or death of top-level leaders of the militant outfit. “Tamim Chowdhury and Abdus Samad played a major role in establishing militant training camps in Kalyanpur and Mirpur areas of the capital,” the police official said. “Samad took over charge of organisational activities after arrest of Holey Artisan attack plotter Sohel Mahfuz alias Hatkata Mahfuz,” he revealed. “Ziadul Islam was entrusted with the task of smuggling weapons, explosives and detonators through Chapainawabganj border as well as their maintenance and distribution,” he added.